9a-2p: FREE Practice SAT Test .Find out where you stand! The NAACP New York State Youth & College Division & The Princeton Review Foundation Presents: Want to take a practice SAT without it counting towards college admissions? After the test students will receive a detailed score report that gives a detailed score breakdown of their individual strengths and weaknesses. Location: Pathways College Preparatory School, 109-89 204th St., St. Albans, NY 11412 *Please bring a #2 pencil and a calculator. * Paying for College Workshop for Parents, 10:00am-12:00pm. Breakfast and lunch served. Open to All High School Students- Grades 9-12. For information contact: 347-476-7650. Woodie King, Jr’s New Federal Theatre kicked off its 44th season with the first play of “The Ed Bullins Project” – – In The Wine Time, directed by Mansoor Najee-ullah at Castillo Theater (543 West 42nd Street), continuing through November 24th. In The Wine Time will feature Richard Brundage, Angelique Chapman, Khadim Diop, Matthew Faroul, Lindsay Finnie, Harrison Lee, Catherine Peoples, Shirlene Victoria Quigley, Sandra Reaves-Phillips, Kim Sullivan, Eddie Wardel, and Eboni Witcher. Tickets: www.newfederaltheatre.com or call 212-353-1176. …PLUS, in the spirit of Shirley Chisholm, the opportunity to raise your voice and take part in “Talking Transition,” an open conversation where you get the chance to share your ideas and opinions about the future of New York City with Mayor-elect Bill de Blasio. 361 Lewis @ Macon St.
6p: Conversations in Black Freedom Studies: Black Power TV. 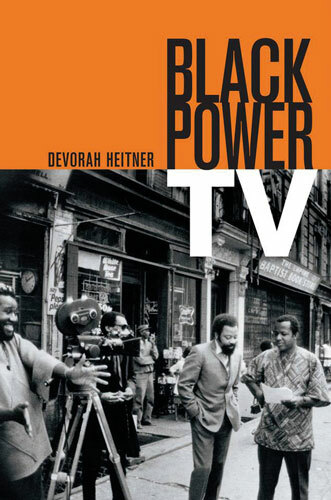 Join Black Power TV author Devorah Heitner as she discusses the rise of African-American public television: New York’s Inside Bedford-Stuyvesant and Boston’s Say Brother, as well as Black America’s Soul! and Black Journal. Her special guest will be Madeline Anderson. Schomburg. Call for hours. 515 Malcolm X. Blvd. @ 135th St. (212) 491-2200. The Fall 2013 semester is curated by professors Jeanne Theoharis (Brooklyn College/CUNY) and Komozi Woodard (Sarah Lawrence College). 7:30p: Camille A. Brown’s Mr. TOLERANCE, Kumble Theatre. DeKalb Ave. and Flatbush. $15 Students, Seniors. Tickets: ( 718) 488-1624. 9a-3p: HATTIE CARTHAN COMMUNITY GARDEN: “CHRISTMAS DANCE” – 423 Nostrand Avenue. Contact Greg Matthews: 347-932-7157. Reggie: 347-285-9774. Melvin: 347-792-0898. Thru December 15, 2013. Housewarming: Notions of Home from the Center of the Universe at BRIC Arts | Media House. This inaugural exhibition will act as a celebratory “housewarming” of BRIC’s new 40,000-square-foot multidisciplinary arts and media complex located at 647 Fulton Street in the Downtown Brooklyn Cultural District. The exhibition explores the concept of “home” from a number of broad vantage points. Eight of the 12 artists featured in the exhibition will present works commissioned by BRIC. Njideka Akunyili, Esperanza Mayobre, Keisha Scarville and Rafael Vargas Suarez are among the featured artists in the exhibition curated by Elizabeth Ferrer, curator and BRIC’s Director of Contemporary Art. Call for hours. Admission to BRIC’s gallery is free. Call for hours (718) 855-7882. Noisy in the Next Room, Danny Simmons’ solo exhibition of new work at Restoration’s Skylight Gallery speaks to the heart and soul of human existence, providing a dramatic and compelling bridge between the past and now, we are asked to imagine a future where hope and revival are commonplace. His paintings operate on multiple levels of perception, employing commonplace practices of repetition and erasure, urging you to abandon the notion of up and down. The exhibit kicks off the 2013-2014 season of The Skylight Gallery. Hours: Wednesday – Friday 11am- 6pm, Saturday 1pm – 6pm. 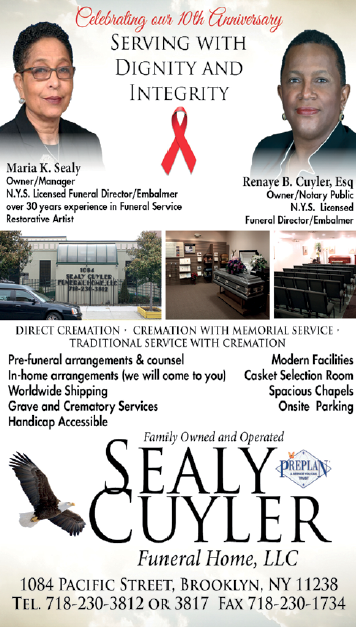 For information, call 718-636-6949. Schomburg Collects WPA Artists 1935 – 1943 highlights the work of visual, literary and performing black artists. It presents founder Arturo Schomburg’s commitment to establish and preserve a black art collection as well as the artists’ responses to America’s racial climate. Schomburg Collects will feature works by Hale Woodruff, Augusta Savage, Beauford Delaney, James Van Der Zee, Richard Wright, Bob Blackburn, Addison Scurlock, Zora Neal Hurston, Paul Robeson, Billie Holiday and Dorothy West. Thru January 11, 2014. The Games We Played, a nostalgic revisit through art to the street and board games played by young people and families back in the day, is an art exhibition at House of Art. While some games occupied the entire sidewalk, other games took up the whole street. There were also classic games played indoors when households still had family game night. This exhibition will showcase a diverse group of emerging-to-established artists with a multitude of genres featuring Guy Stanley Philoche, Jamel Shabazz, Dan Ericson, Charlotta Janssen, Leroy Campbell and others. 408 Marcus Garvey Blvd. Thru March 9, 2014. Wangechi Mutu: A Fantastic Journey, Brooklyn Museum’s first museum survey of more than fifty works of the internationally renowned Nairobi-born, Brooklyn-based artist. Her first-ever animated video is shown as part of the artwork of collages, sketchbook samples, sculpture, a site-specific wall piece and immersive installations. 200 Eastern Parkway, call for hours and entry fees: 718-638-5000.